People sometimes ask about me. You can find more of me on my WordPress profile, or on Facebook via this blog. The other question I get is “What made you decide to blog the writings of an Elizabethan cat?” My friends tend to ask this in the pub, looking a tad dazed. And not because they’ve been drinking. The answer is (of course) the discovery and decoding of the papers in my neighbour’s dress-basket. But there’s more, which I’ll keep as short as possible. 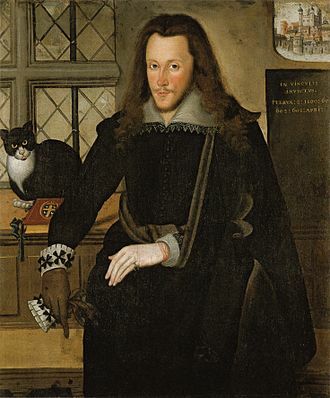 In mid-2014 I was researching a topic that had nothing to do with either cats or Henry Wriothesley, 3rd Earl of Southampton, when I chanced upon a reference to his refusal to be married to Elizabeth de Vere. She was the daughter of the 17th Earl of Oxford and granddaughter of William Cecil, Lord Burghley. The Earl of Southampton was a teenager. William Cecil was his guardian and, as Elizabeth I’s chief adviser, the most powerful man in England. “Good for him,” said she, and we went on to discuss our current projects. Later it occurred to me that was pretty much all I knew about the Earl. I dimly recalled that, as a young man, he’d earned Elizabeth I’s hostility by secretly marrying his pregnant girlfriend. And that he’d supported the Earl of Essex’s disastrous uprising in early 1601, but his death sentence was commuted to imprisonment in the Tower of London. Hence his famous “Tower Portrait” with a cat. I decided to find out more. One search led to another, and then to a truly fantastic world. Apparently, the Earl of Southampton and William Shakespeare were an Item. Few agree on exactly what sort of an Item, but there are some amazing scenarios out there. The Clues! The Codes! The Conceits! Here are my three favourites. Shakespeare’s sonnets tell a story that reveals his heart. An amorous autobiography. First, he tries to talk a lovely lad (nowadays referred to as the Fair Youth) into reproducing. Presumably within marriage, though marriage isn’t mentioned. Then he declares his own love for him. Alas, the ingrate reciprocates by stealing Shakespeare’s mistress. She’s a Dark Lady. Shakespeare gives his male beloved a few tellings-off (as only an aggrieved poet with an exquisite turn of phrase could), but stays friends with him anyway. That suggests the Fair Youth is rich, or why bother? Shakespeare also frets about a Rival Poet, presumably because he too is after financial handouts from said Fair Youth. 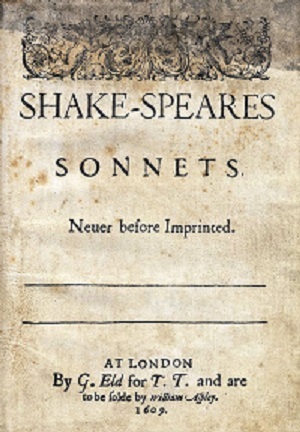 About 200 years after Shakespeare’s death, Nathan Drake, in his Shakspeare and His Times, suggested that the sonnets were addressed to the Earl of Southampton – a theory that’s found favour with many Shakespearean scholars ever since. So if the Earl of Southampton’s the Fair Youth, who’s the Dark Lady? That gets really complicated. At least half-a-dozen Dark Ladies have been identified over the years. I’m not going there. This may be the sequel to The Love Triangle, but I’ll be honest. I haven’t read Professor Hammerschmidt-Hummel’s books about Shakespeare, or the Dark Lady. 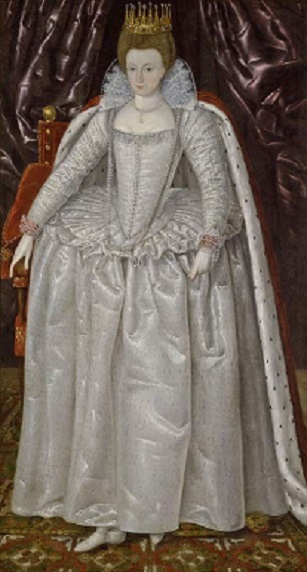 The Countess of Southampton (nee Elizabeth Vernon). However, I gather that when the Earl of Southampton sneaks home from France in 1598 to marry the pregnant Elizabeth Vernon (historical fact), the child she’s carrying is not his but Shakespeare’s. And Elizabeth Vernon is the Dark Lady. The child is a girl (Lady Penelope Wriothesley) who marries into the Spencer family. One of her descendants (Lady Diana Spencer) marries Prince Charles. That means Prince William and Prince Harry are descended from Shakespeare rather than the Earl of Southampton. Among many others, of course. An alternative theory is that the Earl of Southampton is the son of Elizabeth I. It must have been a difficult labour because she never shows him special favour, apart from not cutting off his head when she has reason to. Any parent can identify with that. The 17th Earl of Oxford is his biological father. So where’s Shakespeare in all this? Well, that depends on who you mean by “Shakespeare”. Was the Earl of Oxford the real author of the sonnets and the plays? 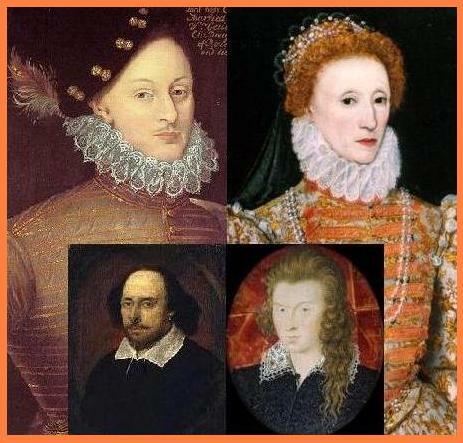 A Tangled Web, via Wikimedia Commons: The Earl of Oxford, Queen Elizabeth, Shakespeare, and the Earl of Southampton. The documents in my possession are penned by at least two cats who had the run of several noble households and who must have been privy to Southampton family secrets. 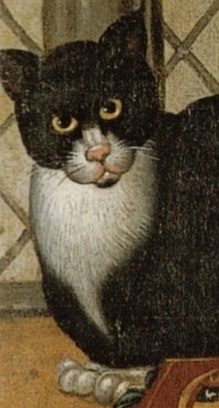 Could Shakespeare himself have come to the attention of the Earl of Southampton’s cat(s)? Certainly, if he was in their vicinity and gave them something nice to eat. Or left his mark somewhere that offended them. Unfortunately, Shakespeare left very few marks that are universally agreed to be his. 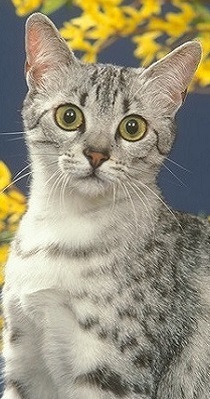 Is it possible that the original versions of the sonnets were penned by one or more of the Earl of Southampton’s cats? That would certainly explain the jealousy about who’s in bed with whom. One way or another, the feline works I’m transcribing could provide the definitive answer. I look forward to it. And I’m looking forward to a truly luxurious old age regardless. Who knows what price these smelly old papers might fetch, once I’ve finished with them? I hope you don’t mind, but I nominated you for a Liebster award. Please feel free to accept or ignore at your leisure. (Personally, I would love more people to discover your blog!) Anyway, the details are at https://introvertsdictionary.wordpress.com/ Thanks and have a great weekend! Thanks for the nomination, Charlotte, and for your compliments on my blog. I can’t participate in Awards because my blog’s so single focus that interrupting Gib’s story with a post on a completely different topic wouldn’t work. But please don’t think I’m not grateful! Thanks, Clare, but most of the credit belongs to Gib – he’s an eye witness to history. I only wish he was as interested in the people around him as he is in other cats and his career as a poet! Roxie and ZuZu love Gib and Roxie really understands the emphasis on his career. She would love to have a book about her. I completely understand. I wrestled with how to do this on my dictionary as well. I hope Gib’s story eventually finds its way to a wide readership! What a wonderful premise for a blog. I know I’ll enjoy following along. Hello to you. I’ve noticed your gravatar on other blogs I follow, so it seems we have similar interests. Glad you think it’s fun! I’m looking forward to spending a bit more time reading yours. I do hope you will have time to read some of my blog. I’d be honored! Hi Denise! I just wanted to say how much I appreciate your reading and liking some of my posts, as well as your comment. Another blogger (also a cat person!) just commented today about how the blogosphere is great for getting to know people. I feel like you are one of the people I’m getting to know, and it is very gratifying. I look forward to our continuing enjoyment of each other’s posts! My pleasure, Timi! I really enjoy meeting people via the blogosphere too. BTW, seeing you like history, I’d recommend checking out April Munday’s blog https://aprilmunday.wordpress.com/ Lots of interesting articles on aspects of medieval history. Thanks for the tip, Denise: I’ll check out April Munday’s blog! I hope you have a great day! The Earl of Oxford, going by the portrait, looks to me like… well, not to put too fine a point on it… looks rather like… a woman. So, that could add another angle to it, could it not? I love the cat in the painting. Our feline friends have taken over the world, really, haven’t they? The more feminine looking young man in the collage of 4 portraits – the one with the long curls – is the Earl of Southampton, aged 21. He does appear to have been a rather pretty youth, and also what we would call a late developer, which might explain his rather girlish looks. There are many who would like to believe Shakespeare was enamoured of him, even though none of their contemporaries seems to have spotted this source of potential scandal. If the cats had taken over, would we be in the mess we are? Not likely! To think that William and Harry could be descendants of Shakespeare!!!! How fantastic. Oh I guess it would be scandalous too 🙂 But it would be cool! how much writing can any writer write without a cat? Every writer needs a Muse. 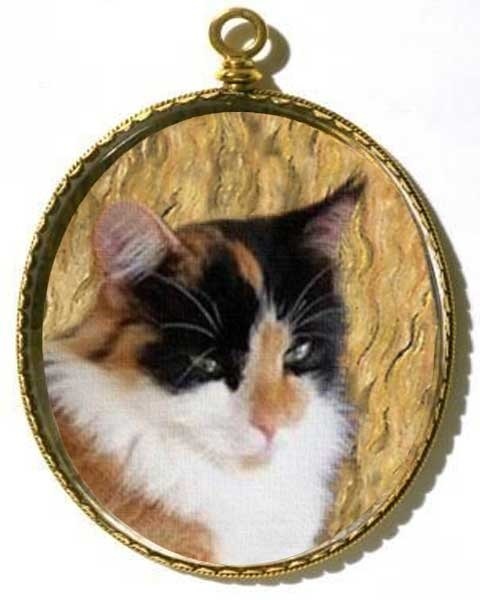 And a mewsy Muse is best. That’s confusing enough to make any cat wonder who’s actually feeding him. Or her. On the other hand, a cat could eat extremely well from the proceeds of a book with ‘Shakespeare’ in its title. I think most Shakespeare titles have already been done, but ‘Shakespeare’s Litter Tray’ could be a winner. Shakespeare’s Litter Tray? I can already see a pile of them at the checkout counters.